After five years on CLG, Aphromoo will be looking for a new team. After a five-year run as the team’s support, Zaqueri “Aphromoo” Black has left CLG, the team announced earlier today. 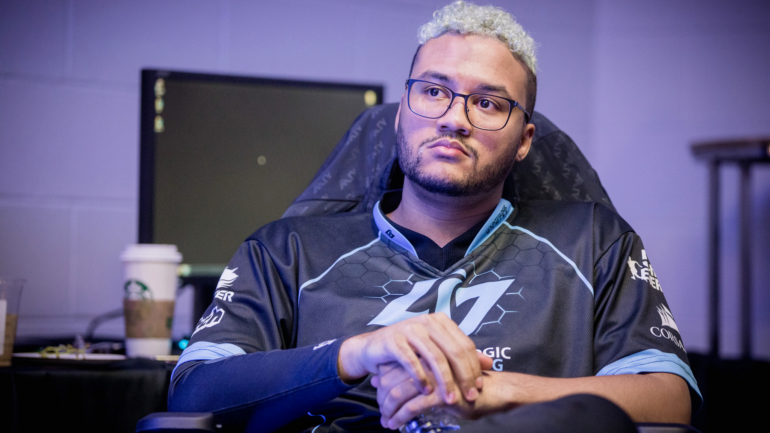 Aphromoo, CLG’s former captain, retained the status as one of North America’s best supports for almost his entire career. Paired with now Team Liquid AD carry Yiliang “Doublelift” Peng from 2013 until the end of 2015, the two were considered the best duo lane in the NA LCS while together—their duo’s nickname was the Rush Hour bot lane, a reference to the movie series with Jackie Chan and Chris Tucker. After Doublelift’s departure in 2016, Aphromoo became CLG’s captain, and led his organization to its second NA LCS championship win, a Mid Season Invitational top two finish, and a World Championship appearance in 2016. While it’s currently unknown which team he will join, Aphromoo is certain to attract a myriad of offers. As a North American native support who shot-calls well, Aphromoo’s strengths will undoubtedly attract the attention of any team looking for a support. CLG have yet to announce its replacement for Aphromoo, but with Vincent “Biofrost” Wang and Kim “Olleh” Joo-sung still seemingly available, CLG can find a strong support before this year’s offseason concludes.